Rear anti-roll bar installation on a Saab 9-5. The thin original bar on this Linear model gets replaced with a thicker and stiffer Aero anti-roll bar to help reduce body roll and improve cornering. 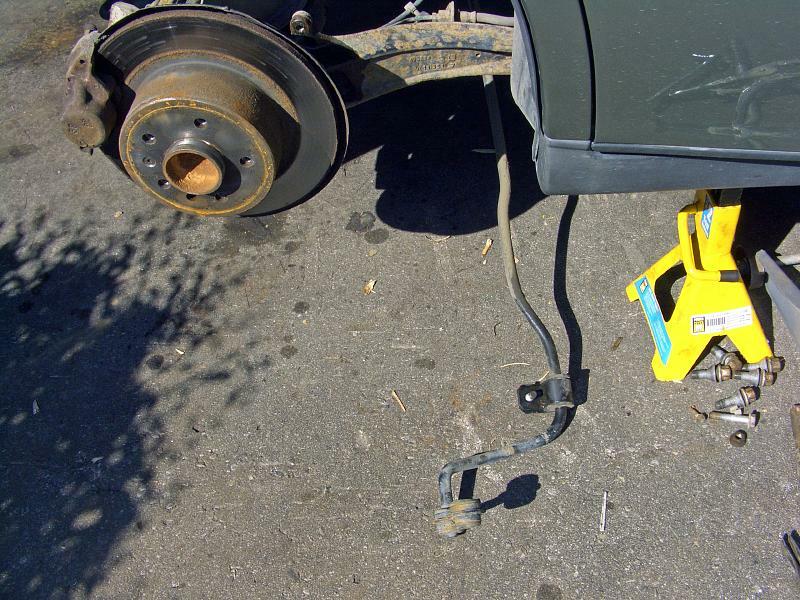 car jack and axle stands. 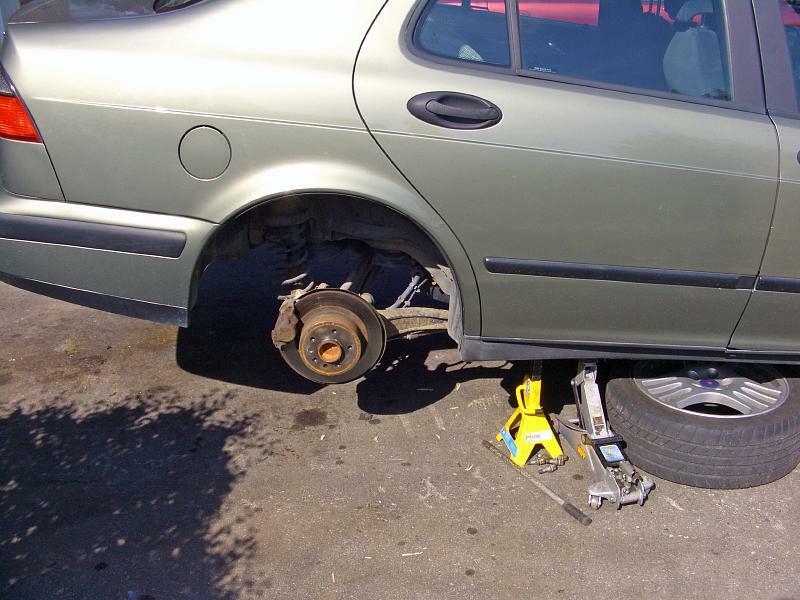 Raise the car, secure it on jack stands and take the wheels off. Both sides need to be in the air, so the rear suspension is level. Detach the bolt holding the anti-roll bar link to the trailing arm. Unclip the ABS sensor wire. Undo the nut on the bushing using a wrench (a socket won't fit in there). 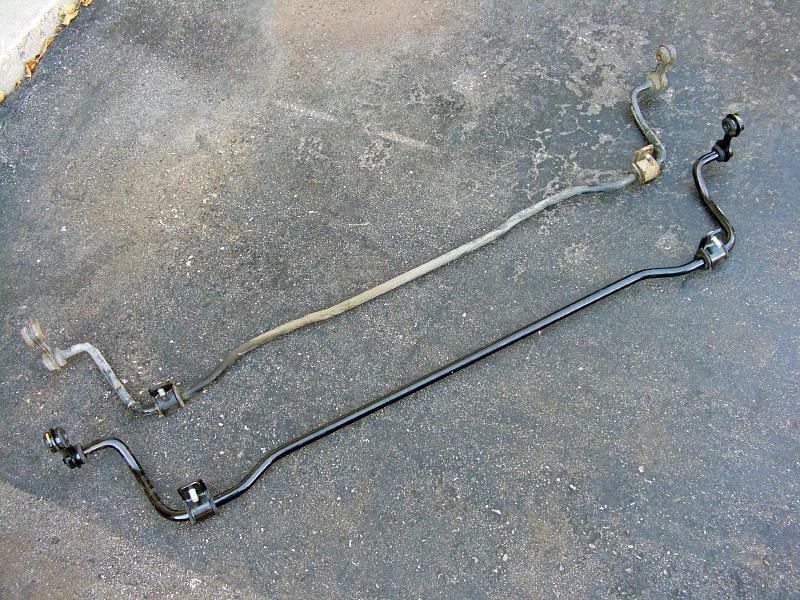 Pull the anti-roll bar out through the right side of the car. See the tip below on how to wiggle it through. The original bar on the 1999 Linear was 15 mm thick. The Aero bar is 17 mm. It comes with new bushings and links attached. Fit the new bar back in. 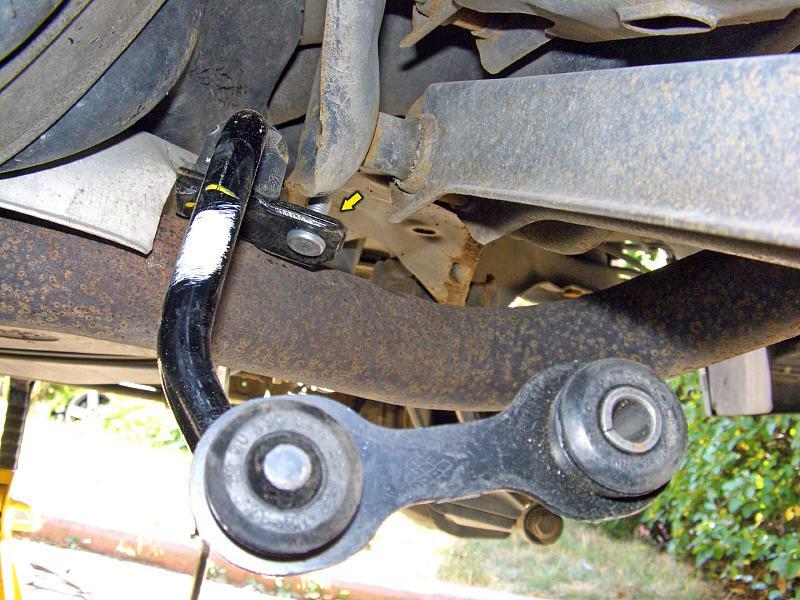 Rotate the driver side bushing backwards so it can squeeze between the exhaust pipe and the subframe. 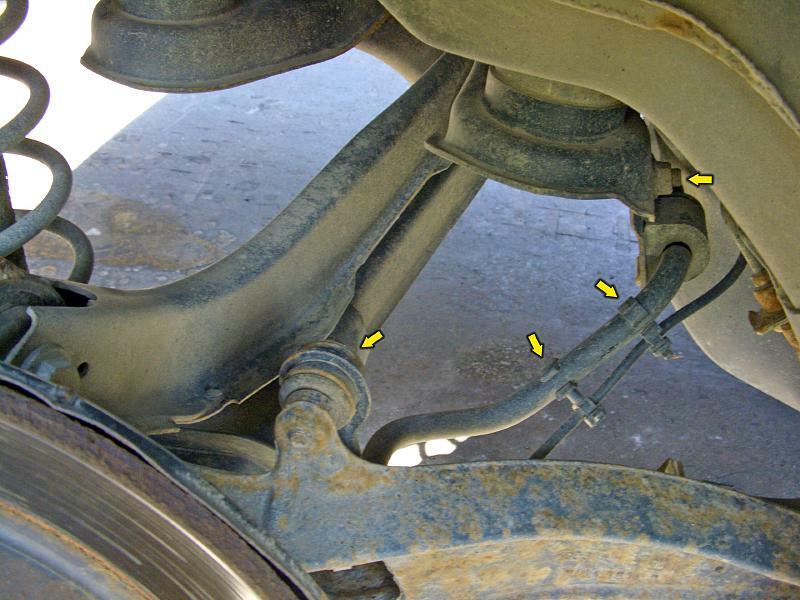 If it's not going through, unhook the muffler hangers and lower the muffler to pass the bar through. 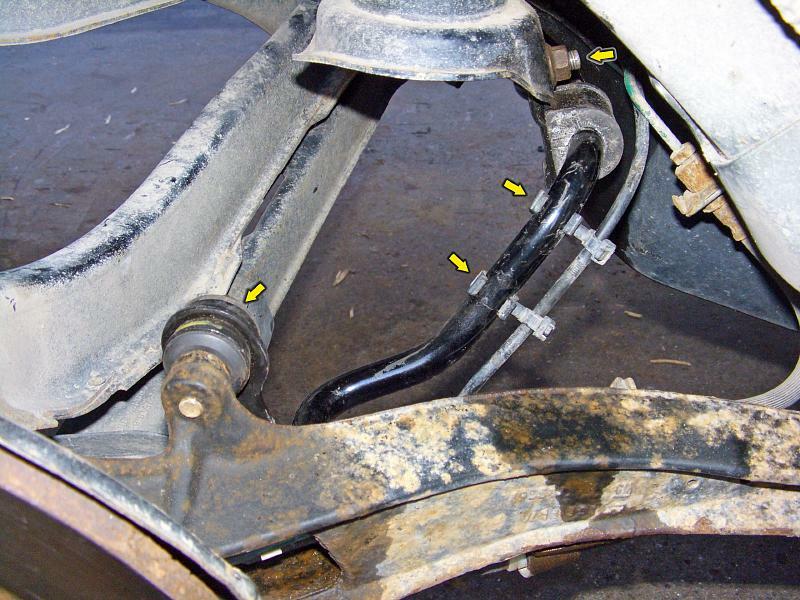 Re-connect the anti-roll bar to the suspension and tighten the bushing nuts and the link bolts to 40 ft-lbs. Attach the cable clips. Fit the wheels, tighten the lug bolts to 81 ft-lbs and lower the car to the ground.